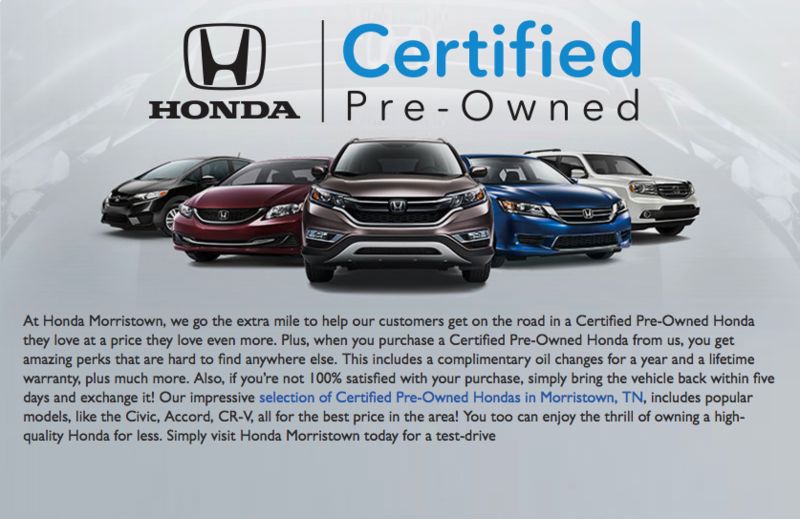 Interested in purchasing a Certified Pre-Owned Honda for sale in Morristown, TN? 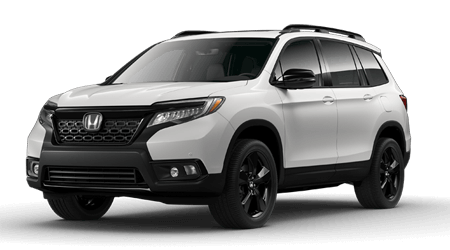 Hurry in to Honda Morristown, conveniently located at 4190 W Andrew Johnson Highway, Morristown, TN 37814. As always, we look forward to serving our neighboring customers from Morristown, TN, and throughout the greater Knoxville, TN, area! ^When you purchase a Honda Certified Pre-Owned Vehicle factory-equipped with SiriusXM Radio. SiriusXM services require a subscription after any trial period. If you decide to continue your SiriusXM service at the end of your trial subscription, the plan you choose will automatically renew and bill at then-current rates until you call SiriusXM at 1-866-635-2349 to cancel. See our Customer Agreement for complete terms at www.siriusxm.com. Fees and programming subject to change. XM satellite service is available only to those at least 18 years and older in the 48 contiguous United States and D.C. ©2014 Sirius XM Radio Inc. Sirius, XM and all related marks and logos are trademarks of Sirius XM Radio Inc.